I’m an Associate Professor at Northumbria University, School of Design, predominantly working in the field of Human-computer Interaction (HCI). I am primarily interested in how digital interactions shape ideas of selfhood, wellbeing, inclusion, and futures. My longstanding curiosity is in the design-led study of Human-Computer Interaction (HCI) from social, cultural and critical perspectives. This is grounded in my interdisciplinary career spanning the arts, humanities and social sciences. I previously worked at Open Lab, Newcastle University (formally the Digital Interaction group at Culture Lab), and, before that, at the University of Nottingham (in the Mixed Reality Lab and Horizon Research Institute). I have a Bachelors degree in Fine Art from Newcastle, a Masters degree in Interaction Design (IXD) from the Royal College of Art (RCA) and I completed my (part time) doctorate in Social Psychology at the University of Surrey (Microsoft Research European PhD Scholarship Programme) in 2011. I also directed an IXD research consultancy for over 15 years (2001 - 2017). My professional design experience extends across industry, academia and the public sector. In a commercial design research context, I have drawn upon my expertise in ethnography, film making, conceptual design and visual communication to deliver research understanding, strategic directions and possible futures for technology innovation in Healthcare, Consumer Goods, Entertainment, Telecommunications and Government. I've also managed transnational research projects in the UK and US. My academic research addresses the significant design challenges that we face for managing identity in our everyday interactions with digital technologies and personal data. I have explored the digital representation of selfhood in the context of family relationships and legacies, major life transitions, memorialisation and cultural visiting, human rights media, and personal identity management. I am particularly interested in the health implications of managing a digitally-mediated self. My approach is creative, practice-based and interdisciplinary, using design to critically understand and communicate ideas and experiences. I’m a passionate advocate of dissemination platforms supporting ‘research through design’. I have specialist applied skills in computer-related design and experience-centred approaches to HCI research. I have significant demonstrators of impact in terms of funding, publications, and services to academic communities. I am Principal Investigator of EPSRC 'INTUIT: Interaction Design for Trusted Sharing of Personal Health Data to Live Well with HIV' project (EP/R033900/1), which formally commenced in November 2018: www.intuitproject.org. I am also currently Co-Investigator (Co-I) of EPSRC 'Playing out with IOT' (EP/P025544/2), which commenced in 2017: www.playout.digital. 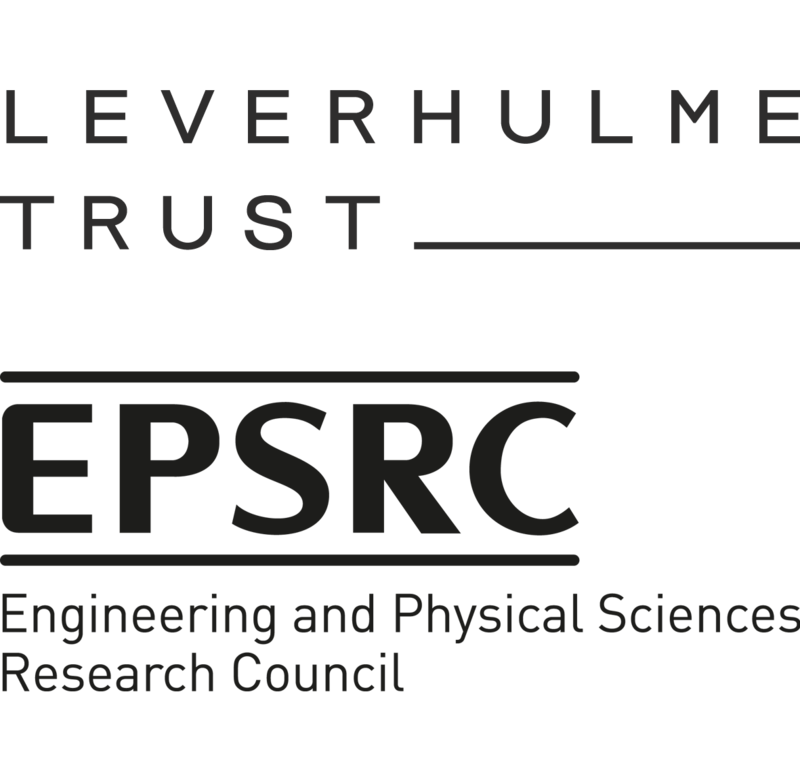 I recently completed the Leverhulme Fellowship (ECF-2012-642) in December 2017. I was previously Co-I at Newcastle University on an EPSRC 'Charting the Digital Lifespan (CDL)' project (EP/L00383X/1), and was previously Researcher Co-Investigator on EPSRC 'Scaling the Rural Enterprise' (EP/J000604/1). I was Co-Investigator on a project internally funded by Newcastle Institute of Creative Arts Practice (NICAP), and an Innovation Pilot for Creative Fuse North East, in collaboration with NICAP and partner organisations. I contribute to a number of academic communities, including SIGCHI Conferences and the Design Research Society (DRS) Conference. I am a Steering Committee member for the biennial RTD Conference series (and was previously General Chair of RTD 2015). I am also a member of the AHRC Peer Review College. I currently supervise 7 PhD students, and mentor a number of undergraduate and postgraduate students in Design, Digital Media, and Human-Computer Interaction. I teach the following subjects at both undergraduate and postgraduate level: Interaction Design, Creative Arts Practice, and Research Methods including Design Ethnography, and Using Film and Video for Design Research. I am Co-Lead (with colleague John Vines) of the 'Co-Create' research strand within the University's strategic IDEATE theme, aiming to deliver design-led research and innovation grounded in participatory methods. 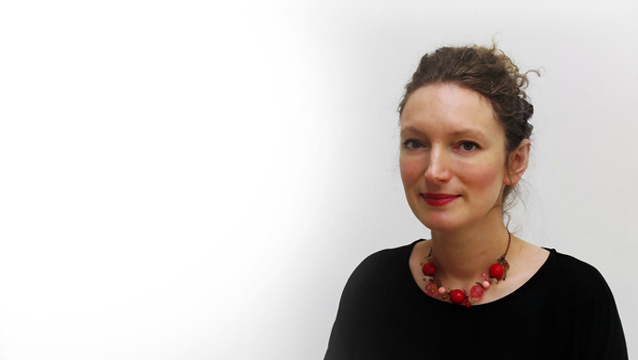 I am the School of Design Lead for the Athena Swan initiative, to promote the advancement of gender equality and diversity at work. I work part time and have taken two periods of Maternity Leave in recent years, between July 2015 and April 2016, and June 2012 to February 2013. And it has been worth it to have my two occasionally entertaining children. Spaa, A., Durrant, A., Elsden, C., Vines, J. (Forthcoming) 'Understanding the Boundaries between Policymaking and HCI'. In Proceedings of the 2019 ACM Conference of Human Factors in Computing Systems (CHI 2019), New York: ACM Press. Wood, G., Dylan, T., Durrant, A. et al. (Forthcoming) 'Designing for Digital Playing Out'. In Proceedings of CHI 2019, ACM Press. Spaa, A.,Wakkary, R., Frens, J., Durrant, A., Vines, J. 7½ and Weekend Alarm: Designing Alarm Clocks for the Morality of Sleep and Rest In Proceedings of Research Through Design (RTD) 2019, TU Delft 2019. Whitham, R., Moreton, S., Speed, C., Durrant, A. (2019) Understanding, capturing and assessing value in collaborative design research. CoDesign, 13(4). Durrant, A. C., and Taylor, A. S. (2018) 'Modelling cells in risky comakings and devious worlds'. In Proceedings of EASST 2018 - Making Science, Technology and Society Together, European Association for the Study of Science and Technology. Durrant, A. C., Moncur, W. M., Kirk, D. S., Trujillo Pisanty, D., Taylor, R., Orzech, K. (2018) ‘Rich pictures for stakeholder dialogue: A polyphonic picture book’. Design Studies (Special DRS 2016 50th Anniversary Section), Elsevier. Durrant, A. C., Kirk, D. S., Trujillo-Pisanty, D., Martindale, S. (2018) ‘Admixed Portrait: Design to Understand Facebook Portrayals in New Parenthood’. In Proceedings of the 2018 ACM Conference of Human Factors in Computing Systems (CHI 2018), ACM Press. Durrant, A. C. and Kirk, D. S. (2018) 'On Ethical Responsiveness: Being Answerable to Others as an HCI Researcher'. Interacting with Computers, Oxford University Press. Durrant, A. C., Golembewski, M., Kirk, D. S. (2018) Sketching the Polyphonic Design Space of Theme Parks. In Funology 2.0. Springer International Publishing. Kirk, D. S., Durrant, A. C., Kosem, J., Reeves, S. (2018) 'Spomenik: Resurrecting Voices in the Woods'. In Mortality and Design— a special issue. Design Issues, 34(1), MIT Press. Durrant, A. C., Vines, J., Wallace, J., Yee, J. R. (2017) ‘Editorial: Research through Design: Makers and Materialities’ Design Issues, 33(3), MIT Press. Elsden, C., Durrant, A. C., Chatting, D., Kirk, D. (2017) Designing Documentary Informatics. In Proceedings of the 2017 Conference on Designing Interactive Systems (DIS '17), ACM Press, 649-661. Orzech, K. M., Moncur, W., Durrant, A. C., James, S., Collomosse, J. (2017) 'Digital photographic practices as expressions of personhood and identity: variations across school leavers and recent retirees'. Visual Studies 32 (4), 313-328. Durrant, A. C., Kirk, D. S., Trujillo Pisanty, D., Moncur, W., Orzech, K., Schofield, T., Elsden, C., Chatting, D., Monk, A. (2017) 'Transitions in Digital Personhood: Online Activity in Early Retirement'. In Proceedings of the 2017 ACM Conference of Human Factors in Computing Systems (CHI 2017), ACM Press, 6398-6411. Elsden, C., Chatting, D., Durrant, A. C., Nissen, B., Garbett, A., Vines, J., Kirk, D.S. (2017) 'On Speculative Enactments'. In Proceedings of CHI 2017, ACM Press, 5386-5399. Durrant, A., Kirk, D. S., Wallace, J., Bowen, S., Reeves, S., Ljungblad, S. (2017) 'Problems in Practice: Understanding Design Research by Critiquing Cases'. In Proc. of CHI 2017, ACM, 636-643. Elsden, C., Durrant, A., O'Kane, A., Marshall, P., Fleck, R., Rooksby, J., Lupton, D. (2017) 'Quantified Data & Human Relationships'. In Proc. of CHI 2017, ACM, 644-651. Elsden, C., Selby, M., Durrant, A., Kirk, D.S. 'Fitter, happier, more productive: what to ask of a data-driven life?' Interactions, 23 (5), pp. 45-45. Dingwall, R., Goulden, M., Reeves, S., Durrant, A. (2011) Envisioning the Digital Economy. In Proc. of Digital Economy All Hands Meeting – Digital Engagement, Newcastle. Kirk, D. S., Durrant, A., Reeves, S. (2011) Rwanda: Memorialisation in the Digital Economy. In Proc. of Digital Economy All Hands Meeting – Digital Engagement, Newcastle. Flintham, M., Reeves, S., Durrant, A., (2011) Creating an Outside Broadcast of a Marathon. In Proc. of Digital Economy All Hands Meeting – Digital Engagement, Newcastle. Durrant, A. (2011) Family Portrayals: Design to Support Intergenerational Relationships in the Family Home. University of Surrey. In Proceedings of CHI 2019, ACM Press.